On behalf of all our SYC team of management, volunteers and race officials, I want to offer my personal compliments to all our competitors for a great 2018 Rhodes 19 Nationals. Over three days and 11 races, we did not have a single protest filed, a testament to the experience and the skills of the Rhodes 19 sailors. We hope everyone enjoyed the charbroiled oysters, jambalaya and spaghetti on the deck Sunday and the sumptuous party at the McGregors’ Garden District home Saturday night. For those we can thank SYC general Manager Lee Stall, Clubhouse Manager Ed Krepps, Gerald White and, of course the McGregors and the local members of Fleet 7 who created a quintessential New Orleans menu. Until next year, fair sailing and steady breezes! 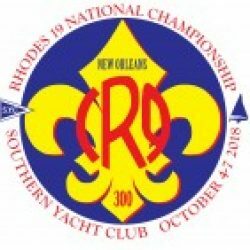 As we welcome our visiting competitors to the Rhodes 19 Nationals this weekend, we also expect you may want to sample some of New Orleans famous cuisine. So here is a quick guide to some of the dining choices nearest the club. First is Southern Yacht Club itself. Once you have registered and received your guest card, please feel free to dine at our club in either the 1849 Bar or the main dining room. Thursday night is Grill Your Own in the bar, and regular a la carte service is available in the dining room. Friday and Saturday are open for dining in either location, although we ask you to make reservations at the club so the kitchen and wait staff can be prepared to offer you great service. Just across the 17th Street Canal from West End is the former fishing village of Bucktown, where, until Katrina washed them all away, the commercial shrimp and fishing boats docked right in the canal. Some are still there in a new marina built next to the Coast Guard station.